Avant Tecno manufactures high quality compact multi purpose loaders and attachments. The model range consist of machines destined for heavy duty professional use, as well as for demanding do-it-yourself hobby time work. 23/03/11 - The ideal solution was the 2026 loader, the baby of the Schaffer fleet of loaders. 08/08/08 - Kanga Loaders provide custom designed and built trailer systems. The trailer system designed by Kanga Loaders help in providing convenience and portability for carrying out a wide range of projects. 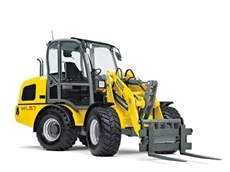 06/08/08 - Kanga Loaders are manufacturer and supplier of a wide range of earthmoving equipment. Kanga Loaders are division of the Jaden Kanga Group. Kanga Loaders offer creative and innovative solutions that are backed by high level of workmanship. 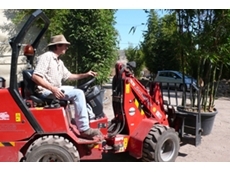 10/07/08 - Inland 4WD & Tractors supplies a comprehensive range of farm equipment such as mini loaders, mulchers, rotary hoes and power harrows.